There was strong participation by airport operators in the last Connecting Europe Facility (CEF) Transport Call, launched on 6 October, which made €290 million available for co-funding, with a specific focus on accelerating the renewal and updating of European airports’ Air Traffic Control (ATC) infrastructure. What is so remarkable about this? Luc Laveyne reports. 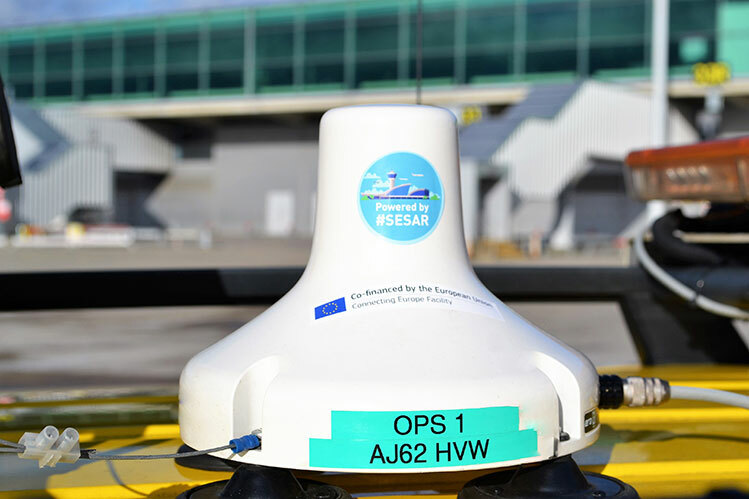 The SESAR Deployment Airport Grouping (SDAG, part of ACI EUROPE) has been working hard to highlight funding opportunities to airports. In recent times, it has noticed that this is having an impact, with an increasing awareness and interest by European airports in obtaining public funding for their Air Traffic Management (ATM)-related investments in the past months. It is very interesting to see the growing number of multi-stakeholder projects presented. For example, one multi-stakeholder’s project proposal “Synchronised stakeholder decision on process optimisation at airport level”, addressing one of the European Commission’s priorities for this call, has been coordinated by Brussels Airport with the support of SDAG. The joint application aims at improving the efficiency of airside operations through real-time information sharing. It sees the involvement of 13 airport operators, 2 ANSPs and 1 Airspace User with an indicative budget of €90m of investment. The proposal currently has the endorsement of the involved Member States and will be submitted for the Innovation and Networks Executive Agency (INEA)’s evaluation at the beginning of April 2018. In parallel, another project – “Enablers for Airport Surface Movement related to Safety Net” is already being executed. This project is a multi-stakeholder project (12 Airport Operators, 1 ANSP and 1 Airspace User) awarded by INEA for its co-funding through the 2016 CEF Call and coordinated by Groupe ADP with SDAG support. It aims at synchronised deployment of the Advanced-Surface Movement Guidance and Control System (A-SMGCS) throughout Europe – a system that provides guidance and surveillance for the control of aircraft and vehicles in order to maintain airport throughput under all weather conditions, while keeping the required level of safety. “Enablers for Airport Surface Movement related to Safety Net” is already being executed. In particular, Stansted Airport, one of the project contributors, has already successfully implemented its part of the project last summer. In particular, Stansted Airport, one of the project contributors, has already successfully implemented its part of the project last summer. 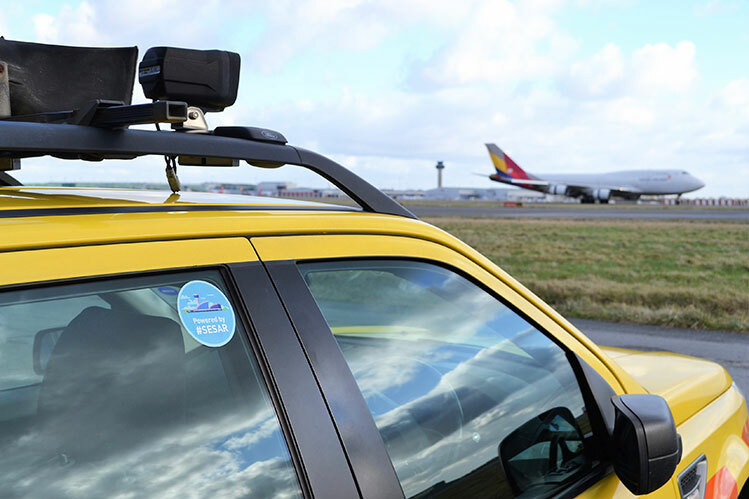 “This unique partnership has allowed the 4th biggest UK airport, which is now at record passenger numbers and continuing to grow, to introduce vehicle transponders within the airside environment, which are part of a suite of safety-focused Pilot Common Project (PCP) deployments. The objective of the project was to equip airside vehicles that have access to the runway and operate in the manoeuvring area of London Stansted Airport with a vehicle transponder, to improve situational awareness, reduce the risk of runway incursions and contribute to the overall airport safety culture. London Stansted Airport will continue to collaborate with European stakeholders to introduce other such technological and operational solutions that will not only facilitate the airport’s growth efficiently and safely, but also effectively play a vital role in a coordinated European Air Traffic Management network. The INEA funding as part of this joint project has expedited the implementation of this and other PCP mandated projects here at Stansted” (Monika Simonaityte, Stansted Airport). These two experiences are a clear proof that airport operators are currently leading the way in terms of presenting joint applications. What it also shows is that they are supporting the coordinated and synchronised execution of their implementation projects to enhance the ATM modernisation, thus complying with the obligations stemming from the Pilot Common Project Regulation. However, since CEF initiatives do not always fully correspond to different airports’ needs, SDAG’s priority for the next months is to explore other forms of funding (mainly on the basis of the investment plans) and to better understand airports’ needs, in order to foster alignment with the policy plans of the European Commission. Let SDAG know what your airport’s plans and needs are for the next years (in terms of investments, innovations, etc.) so that SDAG can explore the possibilities of different funding initiatives. SDAG is open to questions for clarification and potential investigation. You can visit the SDAG website (www.aci-europe.org/sdag.html) and contact SDAG on the following email addresses: barbora.smolikova@airportgrouping.org and luc.laveyne@aci-europe.org.